You may have noticed how many women are fastidious about their appearance. They get their hair done. They get their nails done. They wear makeup and touch it up throughout the day because they don’t want to look un-done. The same logic applies to teeth. Sometimes, regular brushing and flossing isn’t enough to leave people – both women and men – with the winning smile they want to look and feel better. This is why the most skilled cosmetic dentist in central Florida, Dr. Jeffrey Sevor, offers a range of cosmetic periodontal procedures. While they require a bit more time and inconvenience than a regular beauty regimen, the result is largely the same: confidence that makes it easy to smile. When gums recede, the tissue surrounding the teeth gradually pulls away. The process is usually so slow that patients don’t notice it until the condition is well under way. Gum recession may not look the best, but the potential consequences can be serious and include bone and tooth decay. Gum grafting addresses this condition by attaching healthy tissue (often taken from the roof of the patient’s mouth) to the damaged tissue. 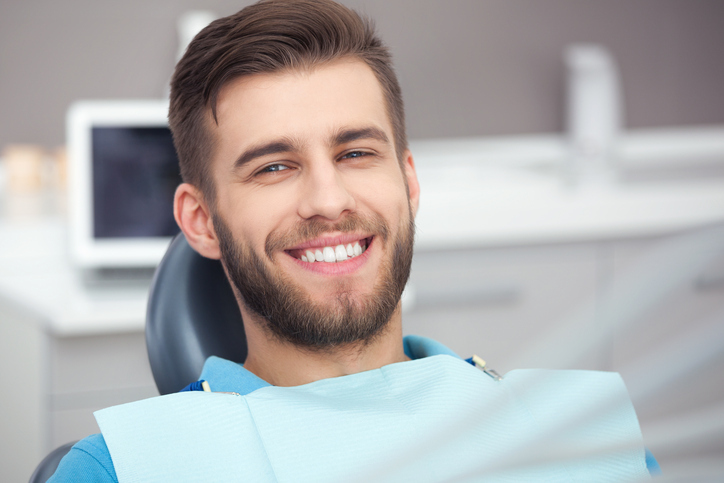 The process reinforces the receding area, reinforcing it and blunting future gum recession. You may know gum reshaping by another term: gum contouring. Many people use the terms interchangeably, and the procedures are similar. It’s the tools that are different; reshaping is done with a laser and contouring is achieved with a scalpel. Essentially, gum reshaping is an aesthetic procedure – one that improves the look of gums that may have developed abnormally on their own or swelled because of certain medications. This “gummy” look can be easily tamed with gum reshaping. Some patients who seek a remedy for a “gummy” look believe their teeth are too short. In reality, their teeth are of average length and the look is caused by unusually high gum lines. For them, crown lengthening is the proper solution. During this surgical procedure, the patient’s bone and gum tissue are reshaped so that more of the natural tooth (or teeth) are exposed. Sometimes, crown lengthening is undertaken to make another dental procedure possible, such as the addition of a crown or bridge. Jaw bones grow strong with use. But once teeth are extracted or lost because of decay, the bone mass deteriorates, leaving a narrow ridge of bone. Ridge preservation addresses this problem by reinforcing the jaw bone with bone material to blunt future deterioration and to provide support for replacement teeth. Always capably and efficiently handled by Dr. Sevor. He is well known for being the first periodontal specialist to bring the FDA-approved and patented laser periodontal therapy protocol to central Florida. This distinction places him head and shoulders above his peers. And his caring attitude, gentle touch and compassion place him in high demand among Floridians who put their dental care in the hands of only the best. Are you ready to learn more about the cosmetic procedures offered at Central Florida Periodontics? Get in touch with us today to find out how you can get the beautiful smile you’ve always wanted.